We will have our first UFO Bee on Monday, January 28th at the Community Health Pavillion at 146th and Cumberland. Bring a project to work on, the BOM, or “shop” the charity quilt fabric and start on a charity quilt. It’s sure to be a lot of fun, and a great “get to know you” day. Of course, plan on going out to lunch too. Did you print out a copy of the 2019 Bucket List? It’s available on the website. I bet there are a few that you can already check off. I’ve checked 8 so far. Did you sign up for the Challenge Quilt at the January meeting? It is not too late, bring your 4 fat qtrs. (hidden from view!) and get the bag and info from Sandy or Cindy. I’m already thinking of the projects and patterns I could do, but hope that the fabric I receive will inspire me toward something different and creatively challenging! Our speaker for February is Barbara Triscari. She is a local fiber artist, photographer and quilter and a member of SAQA (Studio Art Quilt Associates) Barbara draws from her photography to create innovative quilts. She is sure to inspire us with her use of mixed media—well beyond cotton fabric and thread. You can preview her work at triscartsi.com or Barbara_triscari on Instagram. February will also be the start of our suggested $ 1.00 donation for Cornerstone Lutheran. It’s completely by donation, not a fee for meetings, a simple way to give back to this church for allowing us to meet there each month. Cornerstone is holding a “SOCK DRIVE” for February instead of the usual food drive. If you’d like to donate a pair, or two, that would help their cause. We have approximately 60 members who need to have their photo taken for the website members section. Please plan to get your picture taken at the next meeting during the break, and stop having a quilt block instead of your smiling face in the Members information section. March will get you out of your comfort zone with the first & last show and tell. Bring your 2 quilts to show, and step up front to share your talents! It’s a perfect time to try it, if you’ve hesitated to participate in a show & tell at the meetings! I hope that you feel connected to the Mudsock Quilters Guild, and have found a place to volunteer, a bee or charity to join. Remember to check the website for updates in the guild, the calendar for events and the directions for the BOM (we may never top the excitement over that chicken block!!) Find inspiration for your quilting projects in your daily life, thumbing through magazines, books or on Pinterest. 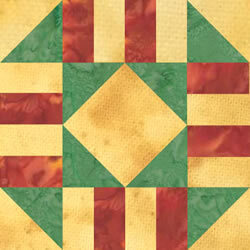 Try a new technique that stretches your quilting knowledge, and share your work on the Facebook page! Get inspired and challenge yourself!